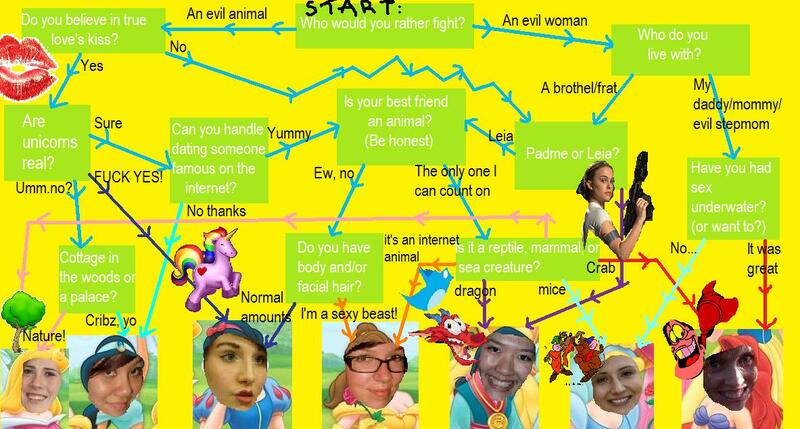 A few weeks ago, we presented a flowchart to help you choose your AMS Prince Charming. In a bout of equal opportunity, we’re presenting to you a lovely flowchart to help you find your AMS Princess. (Editor’s note: due to the lack of visible females involved in hackery, and due to popular demand, we have included our cute little faces). Click the picture to expand the beauty. This entry was posted in Total Dreamboat and tagged crystal, dia montgomery, kai, natalie swift, samantha jung, taylor on January 23, 2010 by taylorloren.